The renowned tourist destination in Korea - Trick Eye Museum has arrived to Singapore! 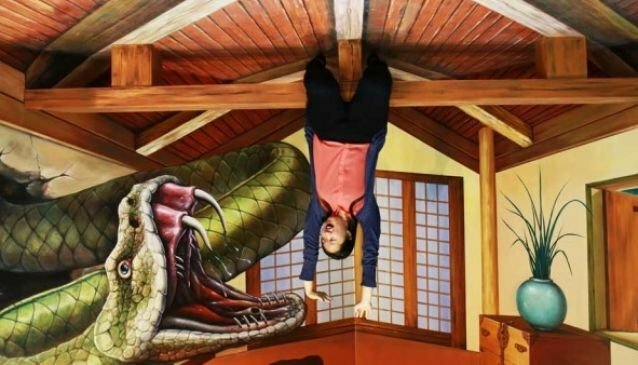 Step in the world of optical illusion at Trick Eye Museum, the latest attraction found in Resorts World Sentosa. This art technique consists in turning two-dimensional paintings into three-dimensional images simply using optical illusions. Equipped with your camera, come and see how 2D paintings on the museum walls, floors and ceilings seem to pop out of the surface. Trick Eye Museum features six themed galleries such as the Safari Kingdom, Star of Circus and Adventure Discovery, while the Art lovers, can take the pose and become the subject of famous paintings at the World of Masterpieces gallery. At Trick Eye Museum offers a playful setting to share memorable moments with your family and friends. Admission Tickets: One Day Pass at S$20 for children (4-12) and senior citizens (from 60 and above); S$25 for adults. 50% OFF until 20/06/2014!